French canopies are a solid fixed position canopy used primary above windows and doorways. They are custom made to suit your requirements. 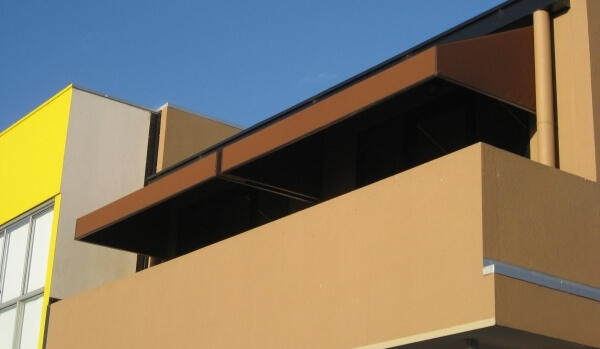 Where a solid canopy structure is required to protect windows and doorways from Melbourne’s harsh weather conditions. Ideal for hospitality, domestic and commercial applications. Welded French canopies can made up to 6.0 metres wide with a 1.5 metre projection. They can also be framed to different angles and have different front heights according to your requirements. 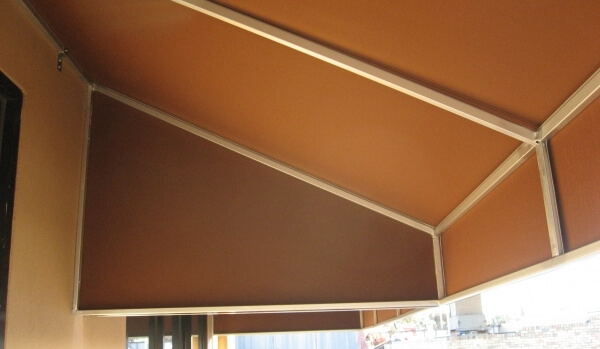 All our French Canopies are made from welded heavy duty aluminium frames and re-inforced for added strength. Custom made here in Melbourne and backed with a 5 Year warranty. Different angled frames and front heights. Added valances and extra supports for the frame. Large choice of leading fabrics and colours.